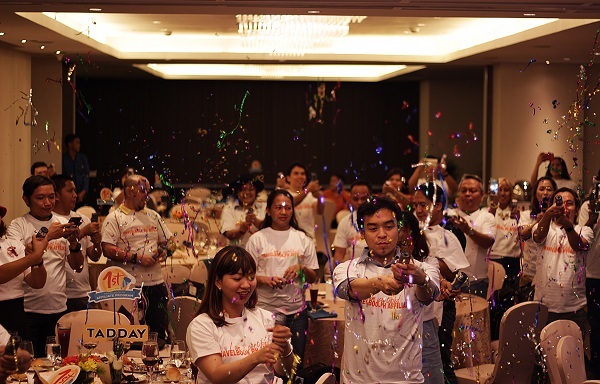 TravelBook.ph, the leading online travel agency (OTA) in the Philippines, concluded its affiliate program anniversary celebration “1st Year Cheer” on June 24, 2017 at Oakwood Premier Joy-Nostalg Center Manila in Ortigas Center, Pasig. The event recognized its 2,700 blogger affiliates and their contributions to the success of the program. 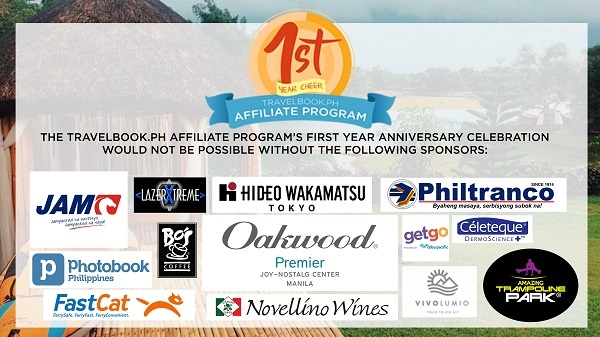 The event highlighted and celebrated the many firsts that the Affiliate Program has achieved on its first year. Present during the event is Affiliate 001 Awardee David Bernabe, owner of Crowd Travel and the very first affiliate to sign up for TravelBook.ph’s Affiliate Program. DIY Travel and Tours was also awarded for being the first affiliate to incur a completed booking through their website. The awards and tokens of appreciation for the affiliates were presented by Ms. Pia Bernaldo and Ms. Toni Reyes of the Affiliate Team, along with Mr. Takumi Nakazawa, General Manager of TravelBook.ph. TravelBook.ph also prepared an audio-visual presentation of their first blogger getaway, where 15 lucky bloggers won an all-expenses-paid trip to the lovely island of Caramoan in Camarines Sur. Two of the bloggers who attended the Caramoan getaway, Me-An Clemente of Yogo and Cream and event host Allan Bobis of The Filipino Rambler, received tokens of appreciation from TravelBook.ph and gift certificates from Trampoline Park. 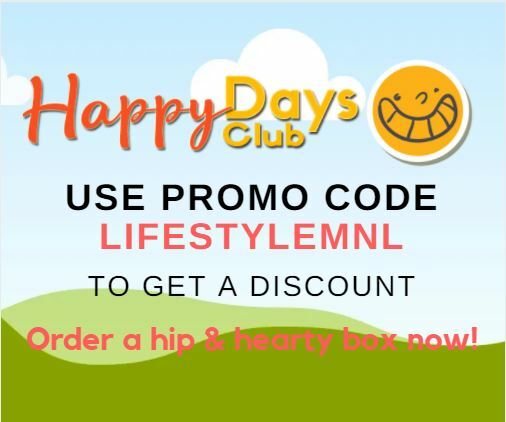 All attendees received PHP 2,000 worth of TravelBook points as well as loot bags with freebies from PhotoBook Wordwide, Hideo Wakamatsu, Celeteque, Vivo Lumio, and Bo’s Coffee. Wines from Novellino Wines, backpack and trolley from Hideo Wakamatsu, Trampoline Park gift certificates, roundtrip tickets from Philtranco and Jam Liner Inc., roundtrip business class tickets from FastCat, and an overnight stay with breakfast for two at Oakwood Premier Joy-Nostalg were among the raffle prizes given away.